Warmer nights are almost here, which means the school year is coming to an end, families are headed on vacation, and more people are staying out into the night hours – putting more drivers and passengers at risk of nighttime related vehicle collisions. Although longer daylight hours are approaching, people are still susceptible to the dangers of driving at night; and according to Craig Knapp, a Phoenix car accident injury lawyer, nighttime car accidents are frequently the deadliest. According to the Insurance Institute for Highway Safety, 50 percent of all traffic accidents occur at night – in other words, half of our nation’s car accidents occur while most of the population is sleeping. In 2014, there were over 32,000 auto accident deaths in the United States, with 8,796 of those occurring during the summer months (June – August). Weekends also proved to be deadly in 2014 – half of all auto accidents, or 16,365, occurred on a Friday, Saturday or Sunday; and a majority of all accidents occurred between the hours of 3 p.m. and midnight. 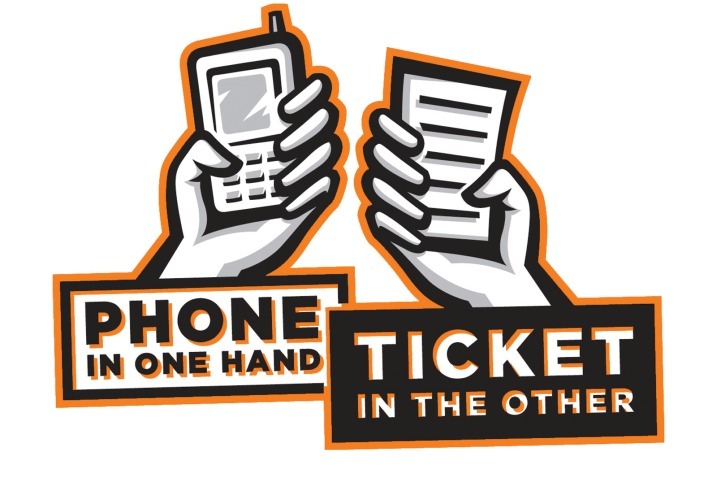 Cell phone use – Cell phone use is a notorious cause of auto accidents at all hours of the day. When the nights are warm and more people go out to meet friends or run errands later at night, they are typically more inclined to use their phones to communicate with other parties they may be meeting up with. In addition to the basic level of danger that cell phone use is while driving, it’s heightened at night when the contrast of the bright phone screen compared to the darkness outside. Much like looking at bright oncoming headlights, switching your eyes between the brightly-lit screen and the darkness of the road you are driving on makes your eyes take longer to adjust between the extremities and can prove fatal if you need to make a last minute, life-saving maneuver. It’s always best to leave your phone alone until you reach your destination. Rush Hour – After a long day of work or school, typically between the hours of 3 p.m. and 7 p.m., many people rush home to relax or get dinner ready for their family – hence the term “rush hour”. With many drivers using freeway systems to get home, speeds during rush hour can easily exceed 60 mph. It takes a car at least 200 feet to make a complete stop when going 60 miles per hour which can prove fatal on a congested highway or road and high-speed accidents are often some of the deadliest. The best solution is to slow down and maintain a safe distance between other cars, usually about 3 seconds, in order to give you enough room to safely slow down or stop. Drowsiness – According to the National Sleep Foundation, drowsiness and lack of sleep account for approximately 30% of all car accidents – and around 168 million adults admitted to driving a car while drowsy. Drowsiness can occur when the driver of a vehicle doesn’t get enough sleep; it can cause lapses in attention, often resulting in accidents involving injuries or fatalities. A study showed that going 18 hours without sleep caused an impairment equal to a blood alcohol concentration (BAC) of .05, and .10 after 24 hours without sleep. However, these types of accidents don’t just occur on long road trips – a majority of car accidents occur within 25 miles of the home. It’s best to not drive if you’re feeling drowsy; be sure to get enough sleep to avoid feeling tired behind the wheel. Intoxication – One of the leading causes of accidents, both day and night, are intoxicated drivers. Although intoxicated drivers are a huge risk at all hours of the day, Mothers Against Drunk Driving (MADD) reports that impaired drivers’ involvement with fatal crashes are four times higher at night than during the day. Since nights are now more active because of the temperature and season change, it means that happy hour starts earlier for some people as well. The best way to avoid intoxicated driving is to not get behind the wheel if you’ve been drinking; while that may seem obvious, in 2014 over 7,000 drivers with BACs over the legal limit (.08) were involved in fatal nighttime car accidents – proving that the “one-or-two drinks” you had with your friends can become fatal. If you witness an intoxicated driver, notify authorities immediately. With carpool services like Uber and Lyft, as well as taxis and public transportation, there’s no reason for someone who has been drinking to get behind the wheel of a car. Compromised Vision – Even if a driver has perfect vision, nighttime is an extremely dangerous time to drive because of the low-light conditions. There are several factors to take into account regarding visibility at night – lighting, glare of headlights from oncoming traffic and headlight position, just to name a few. The National Safety Council states that the average high beam headlight visibility is 500 feet, with normal headlight visibility being only 250 feet – giving drivers less time to react to obstructions on the road. To prevent an accident from happening because of compromised vision, it’s best to slow down, increase distance between other vehicles around you, wear glasses if they are prescribed to you and make sure your windshield is clean to decrease glare from other lights. Highway patrol and other law enforcement agencies know that nighttime increases the chances of dangerous driving and are on high alert. According to nationwide statistics, car accidents are the number one cause of death on the road and ones involving drowsiness, intoxication and vision impairment are more likely to happen at night. It’s best to be prepared for driving in the dark and proactive in avoiding preventable accidents because preventing fatal car accidents is a team effort between law enforcement agencies and responsible drivers on the road. Visit the DMV.org site to see more tips on how to safely drive at night.